I was looking through an old copy of the Tuscaloosa News from the 1980s and came across some ghostly tales of an old mansion in Ojai, California. People had reported hearing various noises, such as tappings, rappings, music and also the singing of, what they called, Indians. It seems that the mansion had been built on a Native American burial ground. There was only one thing to do, call in a ghost hunter, a gentleman called Richard Senate. He brought along with him 30 people, some of whom didn't believe in such things as ghosts. It was summertime and the ghost squad, as I'll call them, sat around chatting but suddenly the room was filled with an unexplained chill. The temperature is said to have dropped by some 10 degrees. One of the squad, a psychic, announced that they were in the presence of a spirit of an unknown woman. Senate told the Tuscaloosa News, "I walked down the corridor with my flashlight toward a ballroom, lit only by moonlight shining through large windows. When I stepped inside the temperature became even colder, and I was freezing all over. Some of the other visitors had followed behind me, and altogether six of us saw it, the exact same thing. 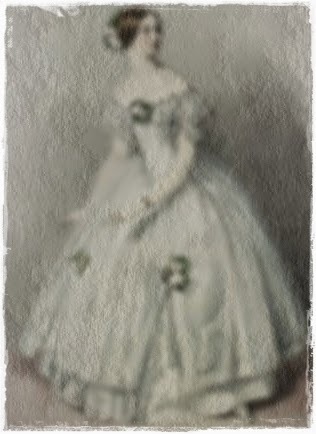 "In an opposite corridor, moving slowly was the image of a woman in a 19th century white dress, with leg-of-mutton sleeves, the hem ruffled, her hair in a bun. "A guy behind me kept yelling, 'I see it! I see it!'" The image then melted away and warmth was returned to the mansion. It is thought that the spirit or ghost was that of the wife of the mansion's builder. She was often unhappy, following arguments, and would take flight through the corridors. On another 'field trip' to a haunted premises Senate explained how he "never believed in ghosts until four years ago when I actually saw one. We were living with the monks at the Mission San Antonio de Padua. "One night it was just after midnight and I was crossing the courtyard. I saw a figure carrying a candle and assumed it was one of the monks which surprised me because we were all supposed to use flashlights in view of a fire danger. "I changed my course to intercept him, but when I got to within 12 feet he just vanished. When I mentioned it the next morning to some of the monks, they said other people had seen ghosts also." Okay, so what are the first signs of seeing a ghost nearby? Senate said, "Invariably, just before a ghost appears, the viewer feels a coldness. It is believed the apparition has to take thermal energy from the living in order to be seen. We don't know why." So beware of those chills! There are, it seems, various categories of ghosts, for example there's the 'post mortem apparition'. This is the figure of a person who has been dead for at least 12 hours. Generally the ghost appears just the once to deliver a message like, maybe, to inform where missing will or object is has been hidden. "She said she had been awakened and saw her son, a serviceman, standing at the foot of her bed, bleeding, his battle fatigues ripped, the image surrounded by a glowing light. The next day she was informed that her son was missing in action. She replied that no, he was dead, and she was right." And, just to wind up the post, Senate said that, "Suicide is a prime cause of a haunt. It is almost that the act of self destruction dooms a soul to wander the site of it's last desperate act." I haven't seen a ghost myself but, like you, I have sensed them. Sometimes in old places, I can sense them. On occasion, I've caught scents or smells associated with a particular deceased person. And a couple of times, I've seen my deceased parents. Great post, Mike. I've also had the scents, smells and other feelings but have never seen a ghost. I've written before of how I could smell my Dad's tobacco though no one in our house smokes.